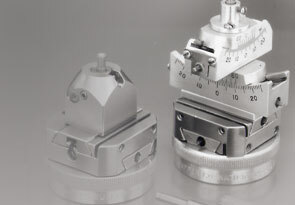 Supper Goniometer Heads are fine, precise and ultra-stable instruments for mounting crystallographic specimens. They are backlash free, yet move smoothly. The arcs are centered to the crystal. All motions are fully lockable to guard against crystal slippage. Angular positioning is accomplished by use of recessed screw feeds to lead screws made of hardened stainless steel. 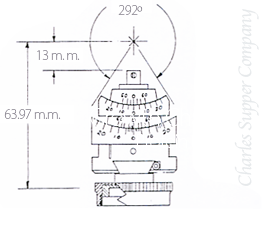 The position of the arc is read to 5 minutes by means of a vernier. Our Goniometer Heads adhere to ACA / IUC standards and are compatible with the latest X-Ray Crystallography equipment.